We all suffer from it – lost cell phone chargers, incompatible connections and even too many confusing types of chargers. It’s a waste of time, energy and money. But if you live in Europe, you may just find relief come 2011. 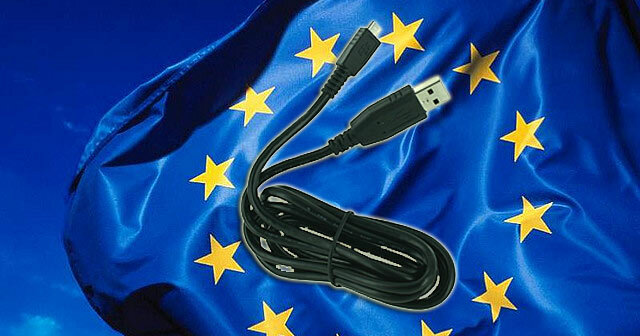 In a groundbreaking effort, two European standardization bodies, the European Committee for Electrotechnical Standardization (CEN-CENELEC) and the European Telecommunications Standards Institute (ETSI), have recently released charger standards for data-enabled mobile phones which would mandate the creation of universal micro USB compatible European cell phone chargers. Yes, one micro USB charger to fit all types of mobile phone devices! The move was a response to the June 2009 request of 14 cell phone makers – Apple, Nokia, Research in Motion, Emblaze Mobile, Huawei Technologies, LGE, Motorola Mobility, NEC, Qualcomm, Samsung, Sony Ericsson, TCT Mobile (ALCATEL), Texas Instruments, and Atmel – who all signed a Memorandum of Agreement backed by the International Telecommunication Union (ITU), to standardize microUSB cell phone chargers in Europe. This revolutionary move brings about several advantages to mobile phone users in Europe including the convenience of having to maintain a single charger for all types of cell phone – something beneficial to Individuals with multiple mobile phones and frequent travelers. And since chargers have been found to continuously emit harmful radiation to the Earth’s atmosphere even if not in active use, establishing a universal charger could majorly cut down on the number of chargers manufactured per year which could be a major relief to environmentalists worldwide. The standardization also proves to be a major achievement for the USB technology and an addition to the technology’s portfolio of devices that rely on USB connection for faster data and power transfer. All in all, the move was a significantly healthy one that seems to bear no negative implications so far. A standard charger is convenient, economical and environmentally-friendly so it would be no surprise to find the whole world using a universal charger in the next couple of years (let’s hope it does!). Cell phone manufacturers are expected to make an initial release of the chargers in the first months of 2011. Do you think all other continents should have a universal microUSB charger? How do you think big names such as Apple and Nokia will adopt their designs in the future? Now, it’s even more exciting to watch out for next iPhone 5 or Nokia series. This entry was posted in Articles, Flash Memory Future, USB Future, USB Technology and tagged EU adopts micro USB charger standard, Europe Adopts Universal micro-USB standard, micro USB cell phone chargers, micro USB charger, Micro USB Chargers Standard, MicroUSB Becomes European Standard, microUSB charger, microUSB standard cell phone charger. Bookmark the permalink.